As a massive Spider-man fan, even I have been feeling a little bit of Spider-fatigue of late. We’ve had event after event. And then what could be arguably the best Spider-man movie ever made – Spider-verse. I was worried that this weeks releases were just delayed Marvel marketing. 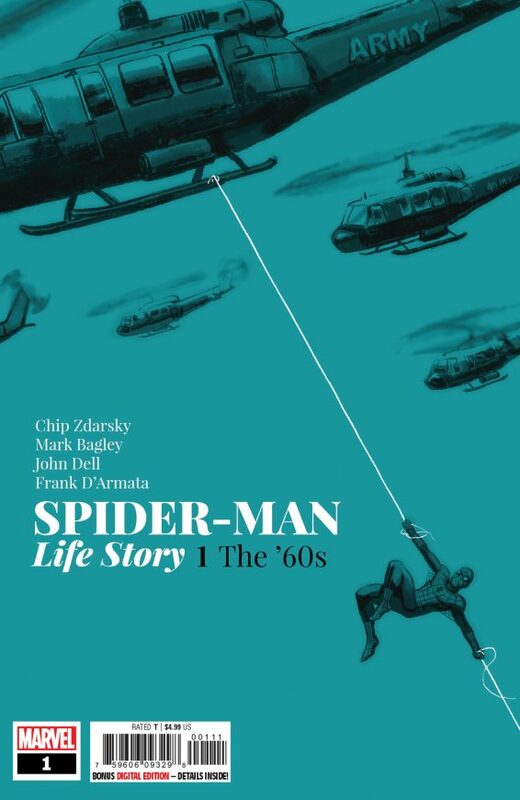 As far as Spider-man Life Story, I may be incorrect in that assumption. What Chip Zdarsky and Mark Bagley have done is create an homage to early Spider-man stories. Bagley has effectively recreated the original look and feel of the characters without resorting to gimmicks (like yellow pages or dot-like printing). And Zdarsky uses dialog and slang that fits the time without the cheese factor. It works out to be a great callback to early spider-man. And when the story starts to feel too familiar it takes a left. The end of this book takes you on a trip featuring Captain America. 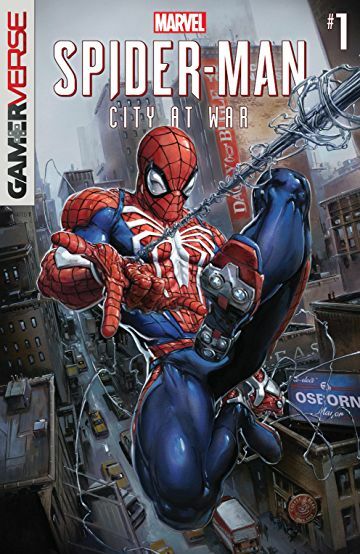 The other book out this week is Spider-man: City At War. It’s effectively a re-creation of the story told in the hugely successful Spider-man video game by Insomniac. In addition, the regular cover of City At War is by Clayton Crain. Like Marvel has done in previous franchise movie and video game books, they boast of new and unseen material so you get more bang for your buck. Both books are seriously worth your time this week and both are short term investments with only 6 issues each.